I recently came across a great quote originating on Twitter by Stephen Fry concerning the debate on the analog-digital dethronement sequence: "Books are no more threatened by Kindle than stairs by elevators." I'm a man neck-deep in digital technology (one prime example: I mostly draw digitally in Photoshop on a Cintiq tablet, which uses "brushes" coded to act like anything from watercolor to oil paints to graphite) and I wholeheartedly agree with Mr. Fry. The more my surroundings convert to lines of code, sandwiched between a backlit screen and a power source, the more I want to balance it all out with things I can touch, taste, and smell. The only thing is, if I'm going to take the time to write someone a letter, I'm going to go the extra mile and forego the cheap printer paper. So, along with a good pencil or fountain pen, the number one item I need for this task is some good, high-quality stationery that looks like it came from...well, me. Read on for some of my favorite suppliers! First, let it be stated for the record that I'm no hater of bright colors and whimsical imagery—for crying out loud, look at the home goods brand and illustration studio that I co-founded. But when I send thank-yous, notes of encouragement or occasional life updates, I prefer more traditional masculine design: minimal imagery, sparing use of color. 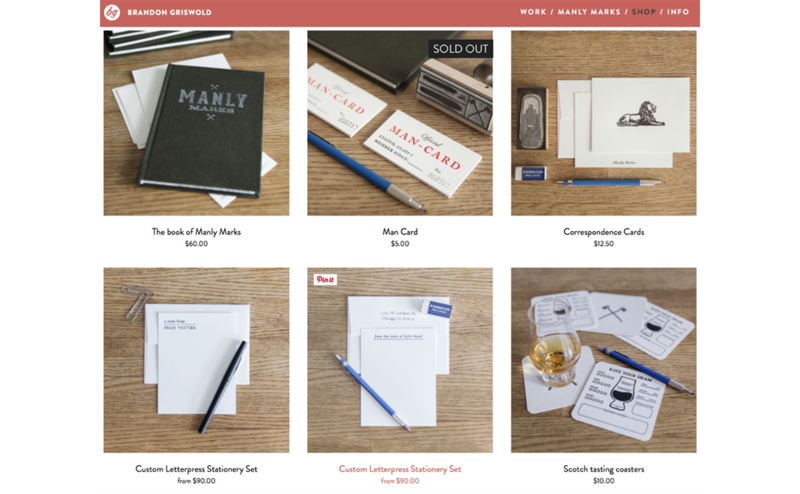 This team has been cranking out specialty books and custom stationery in the Hudson Valley since 1985. 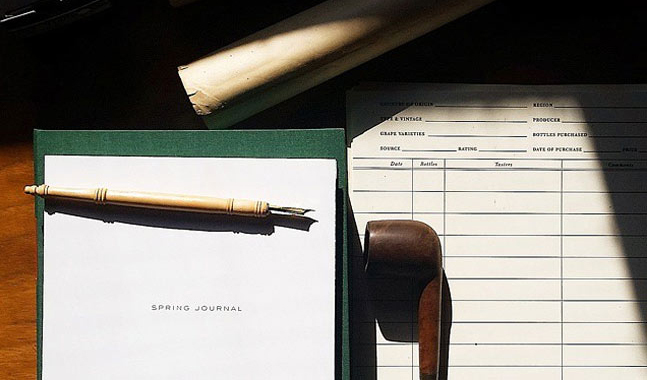 The style is classic, with that old library, classic writing desk feel. It inspires you to want to learn to write with a traditional inkwell and dip pen. I really liked this collection of classy, slightly tongue-in-cheek greeting cards. My favorite: the Mid-Century-inspired crest (which wouldn't look out of place on a prep school blazer) that says "Here's to You, Old Pal." 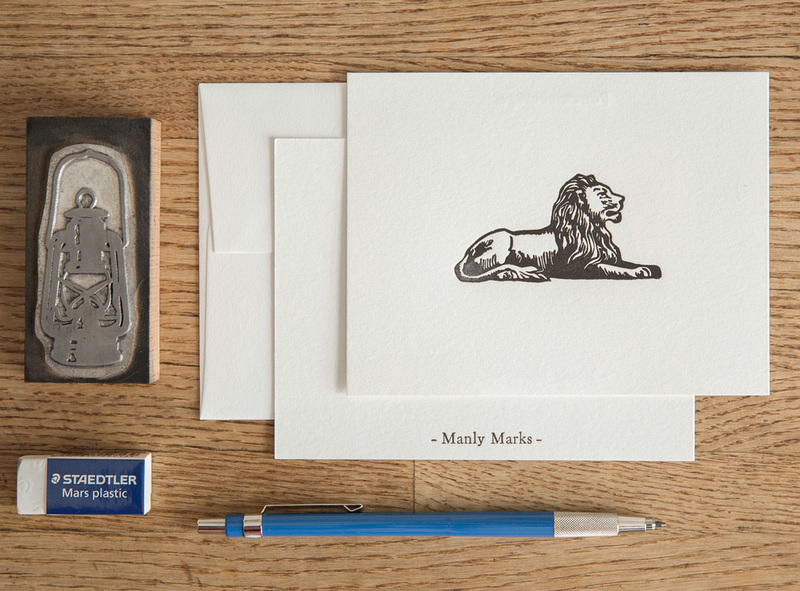 When you consider that this London-based company once made bespoke stationery for Maharajas of India in the 1920's, it doesn't take much to dot-connecting to imagine reserving this stationery for really important messages and announcements. 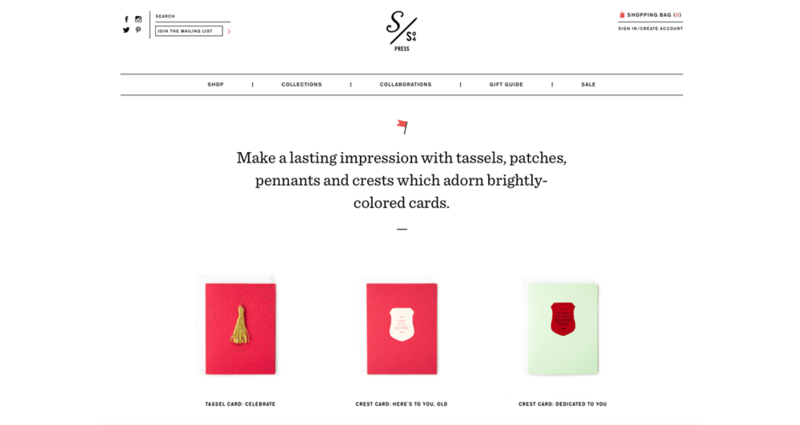 They've got a huge selection of cards and ship to the US, so I'd like to give them a whirl sometime. Caroline Weaver et al. 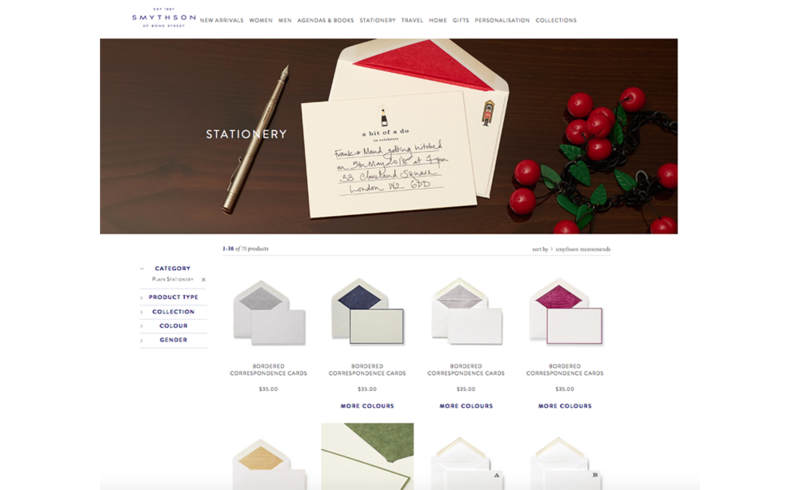 don't offer a whole lot of stationery, but I would be remiss if I didn't include this fantastic shop. And hey, you need something write with—why not try dropping the ballpoint pen and writing a tidier letter with something eraseable? 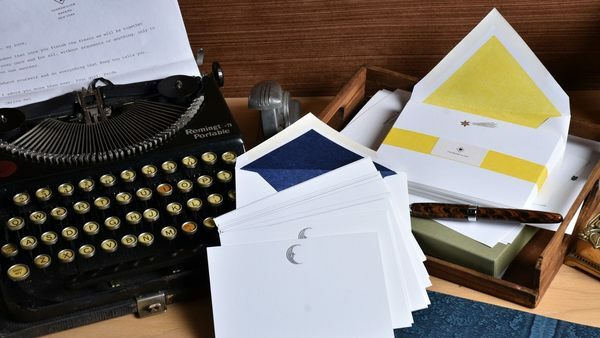 If you really start to find yourself getting into writing letters, you can join this crew for a $5 lifetime membership and get your very own membership card and patch. Do you really need any more convincing? 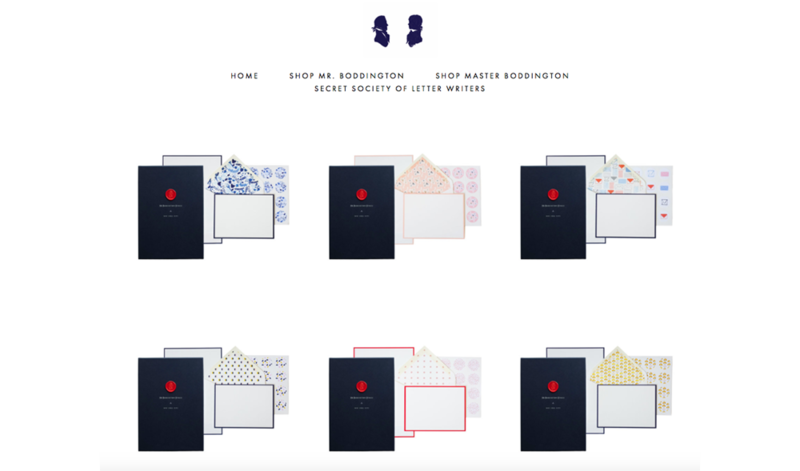 Do you have any favorite stationery suppliers? Leave your comment below!